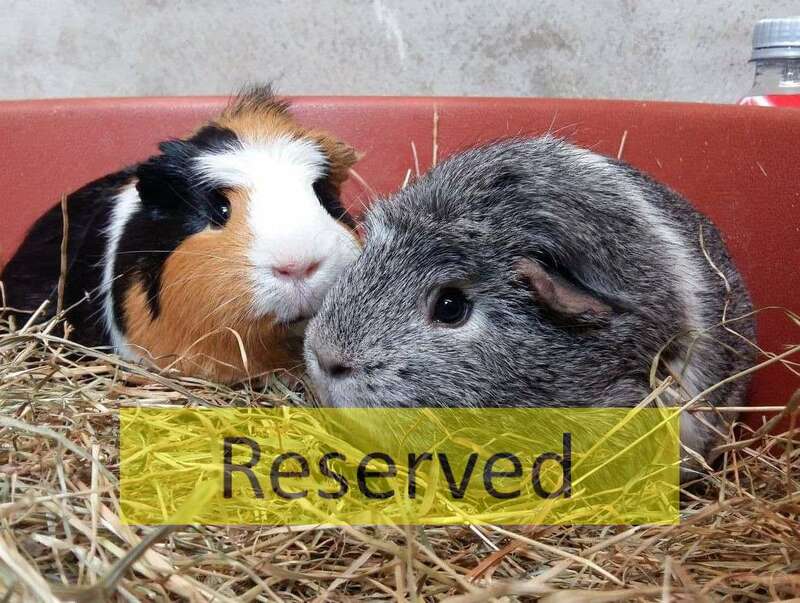 Patch and Pebbles are two lovely female piggies looking for their forever home together. They are both around 1 year old and slightly nervous with being handled. It may take these girls a little while to settle in a new home. Patience will be required as well as a consistent routine to help the girls feel comfortable in their new surroundings. It shouldn’t be long before they associate a door opening or a fissily bag with nice things such as tasty veggies or treats! If you feel you could offer these two girls a great home, please call up to the sanctuary, speak to the staff and fill out an application form! !